Time to hit the streets of the CBD for a fun charity event focused less on speed and more on camaraderie - our Urban athletes come in all shapes, sizes, ages and speeds. 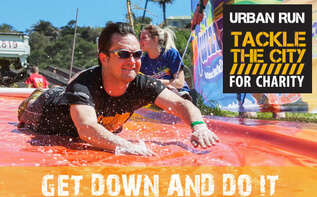 The Urban Run course will be the most memorable and fun city obstacle run of your life! The Urban Run is a parkour type obstacle run through the heart of the city. CBD's around the country are busy with great urban renewal and it's time to COME BACK TO THE CITY and witness this urban renewal process for yourself. Whilst rediscovering the city we also want to leave a lasting impact on the local communities - The Urban Run South Africa is therefore a unique a charity fundraising event. 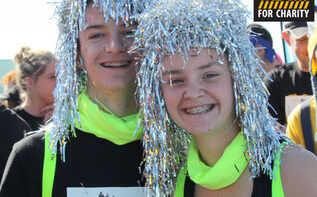 Inspire the philanthropist in you to come out through your participation in an Urban Run South Africa event. In the spirit of this Urban event ALL entrants are required to raise a minimum of R100 (over and above their entry fee) for the cause by spreading the word and seeking donations from colleague's, friends and family members in the build up to the event. 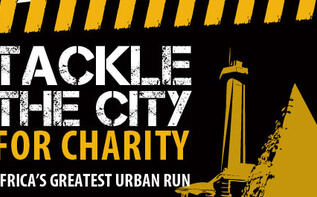 Various levels of incentives have been designed to encourage participants to collect as much money as possible for the event charities - and (for the feature Urban Run) such incentives will also determine the participants starting batch on the day. "Since inception in 2011 the Urban Run South Africa participants have raised over R1,180,000 for charity." The Urban Run South Africa event is a two day festival of activities including a Kids Urban Run, Rotary Kids play area (supervised kids inflatable area), entertainment and loads of food and craft vendors. See Event information for further details on these activities. Entertainment at the Nelson Mandela Bay Urban Run on Sunday is sponsored by Caltex Eastern Cape Marketer and features top Eastern Cape entertainer, Gino Fabbri.